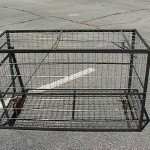 TRAP DESCRIPTION:This trap is a smaller version of the Hog Trap Original. 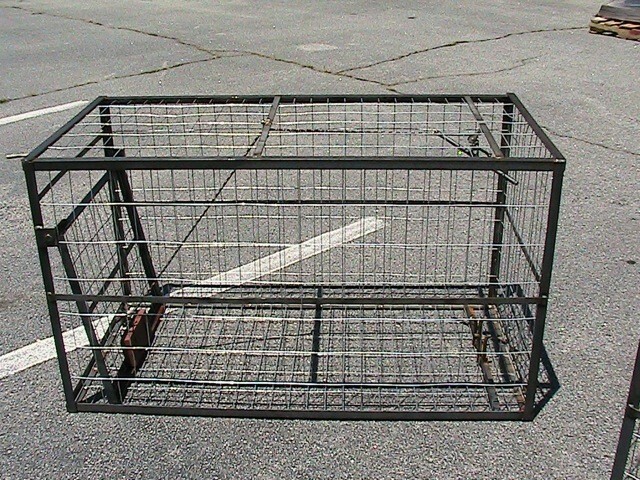 Because of it's size this trap is able to ship via UPS ground or FedEx ground, unlike our other larger hog traps. It's big entrance insures small to medium sized wild pigs will readily enter. Though the door works the same as the original, the Junior isn't designed to be a true "multiple catch". Don't expect the giants to fit inside the Junior but it's big enough to catch animals over 100 lbs. Since most all nuisance populations will have many animals 25-125 lbs, the Junior can be employed to help most any feral hog management program. It's built hog tough and won't break for many years to come. Like our other models, it has galvanized livestock panel wire which is mig welded to the frame. The frame work is made of angle iron and designed to take abuse from any pig large enough to enter.